ts unique Constant Response circuitry preserves high speeds under heavy loads. Packing a punch like this makes the Bosch ideal for more resistant materials like metal, masonry and hardwoods. Its manageable size and comfortable grip allow for easier maneuverability in difficult spaces. Furthermore, the variable speed dial makes delicate cuts neater and cleaner. The shorter circumference of its soft grip reduces stress when handling thereby allowing users to work longer without needing a break. Similarly, the rotating ball-joint cord swivel keeps the power cord from kinking up or getting in the way. 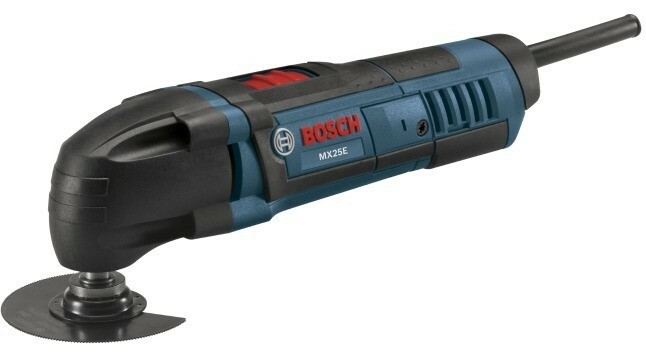 Compared to its competitors, the Bosch MX25EC-21 generates less vibration during use. Always a plus, its accessory adapter is compatible with attachments from multiple competitors. 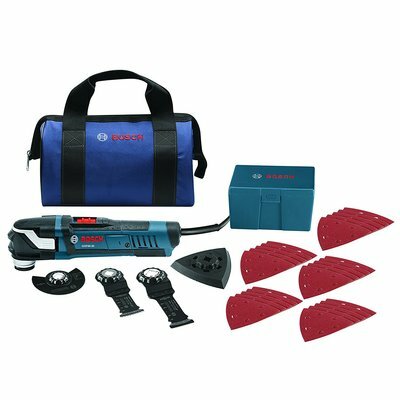 Although Bosch advertises this tool kit to be quieter and have less reverberation, a few comments say otherwise. One wished the speed dial was more accessible to the thumb. Of course, some first-time purchasers may have no oscillating tool kit experience against which to measure the MX25EC-21.